" I don't view it as a box to check off on the long list of life "to-dos." It is a gift to me. It is how the Father explains life to me." Beautiful words and it rings so true. It resonates with me because that's often how I feel. There are those that will judge me for staying home with my daughter, trading in the life I had before her. The word "enough" gets thrown around a lot--are you sure that's enough for you? Are you enough of a woman to do that? It's hard to ignore, but I manage. Because like you said: motherhood is a gift and I (like you) accept it wholeheartedly. Love this! You are so right, there is always a constant struggle to be everything for your family and everybody else. Its a daily balancing act! And yes I look at my little ones wishing I could hold back time and yet love seeing them grow into who they will become. 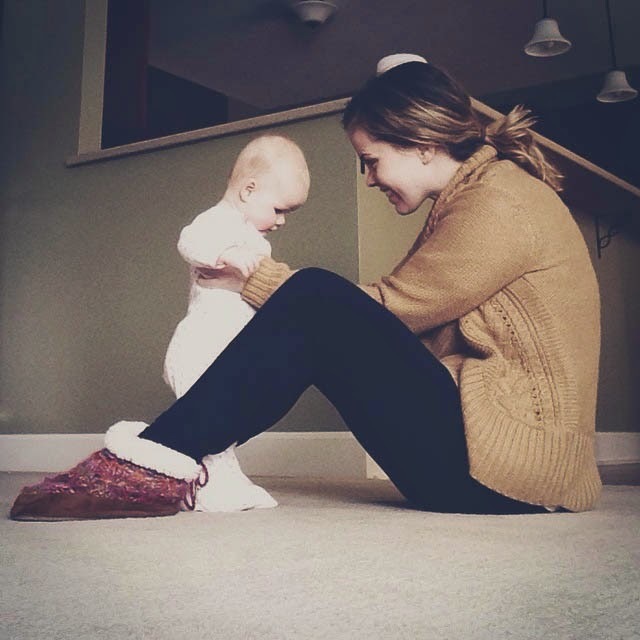 Thanks for your beautiful perspective on the motherhood! It is tough to walk that fine line. Right now, I try to focus my energy on my family. Any time I step outside of that line, I end up feeling even less fulfilled. :) blessings, rebekah! Love this so much. Speaks volumes to me. I have two kids and I still want more. But I'm a bit hesitant and anxious about our finances (we're a single income family) and all other things. But I love this, mothering and managing my household. Such a beautiful poem! "The desire to be enough for those little people met with the desire to be enough for the world. It's the never ending battle of motherhood." I have struggled greatly with this as well, leaving my high-paying job to be a homeschooling mom. It doesn't make much sense to the world, but it is my calling, my blessing, my ministry. Thank you for sharing your heart. Eventually, you will desire that "big paying job" less and become more fulfilled by your at-home ministry. This blog is what I did to fill that "corporate" void. I wanted to be able to reach beyond these four walls. I feel like I get my cake and get to eat it, too. :) Thanks for stopping by. I have two little ones, another on the way and I hope God blesses me with many more after this one. As happy and content as I am, I certainly have my moments when I need a beautiful reminder like this one so thank you!